Originally from Vancouver, British Columbia, I attended UBC where I studied French and Italian language and literature. After completing an LL.M. and a Ph.D. in International Law at the University of Cambridge in the U.K., I finished my LL.B. at Dalhousie University. I was called to the British Columbia Bar and practiced corporate and commercial law at McCarthy Tétrault LLP in Vancouver. I subsequently worked in the nongovernmental sector on peace and disarmament issues. It was during this time that I participated in the Canadian Assessment Mission to Sudan (the Harker Mission) which was established and dispatched by Canada's Minister of Foreign Affairs and International Trade to investigate allegations of slavery, as well as, links between oil development in Sudan and grave violations of human rights. Prior to coming to the University of Ottawa in 2007, I was a Senior Lecturer in Law at Oxford Brookes University in the UK. My research is focused on the human rights implications of domestic and transnational business activity and particularly on natural resource extraction, and how best to regulate such activity to protect human rights and prevent and mitigate other harm. I also consider the intersections between transnational corporate activity, human rights and international economic law. My current work is on gender and resource extraction. 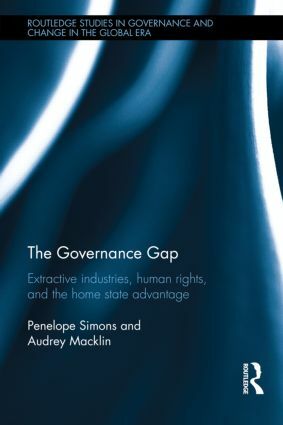 The Governance Gap: Extractive Industries, Human Rights, and the Home State Advantage (Routledge, 2014) examines the human rights implications of corporate activity in zones of weak governance and argues for home state regulation. A Guide for Developing Country Negotiators (Commonwealth Secretariat, 2013), considers the ways in which international investment treaties could be reimagined to address more effectively the sustainable development concerns of party states. Interim Director of the Human Rights Research and Education Centre, University of Ottawa, 2013-2014. P. Simons & A. Macklin, The Governance Gap: Extractive Industries, Human Rights, and the Home State Advantage (Routledge, 2014). J.A. 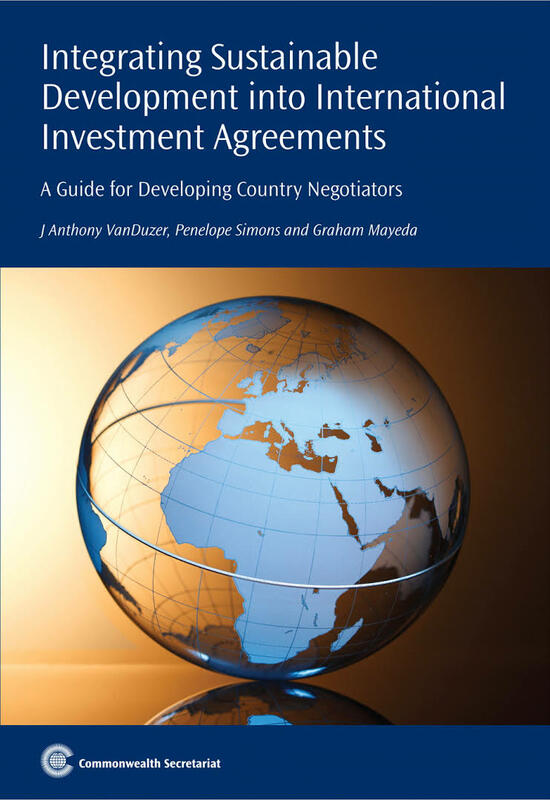 VanDuzer, P Simons & G Mayeda, Integrating Sustainable Development into International Investment Agreements: A Guide for Developing Country Negotiators (Commonwealth Secretariat, 2013). W. Shan, P. Simons & D. Singh (eds) Redefining Sovereignty in International Economic Law (Hart Publishing, 2008). 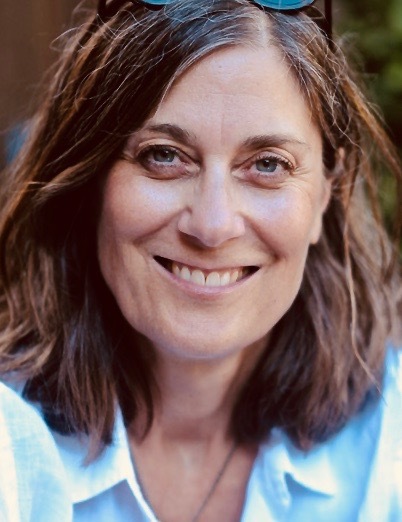 P. Simons and Melisa Handl, "Relations of Ruling: A Feminist Critique of the United Nations Guiding Principles on Business and Human Rights and Violence against Women in the Context of Resource Extraction" (2019) 31:1 Canadian Journal of Women and the Law 113-150. P. Simons, “Unsustainable International Law: Transnational Resource Extraction and Violence against Women” (2017) 26:2 Transnational Law & Contemporary Problems 415-434. P. Simons “Canada’s Enhanced CSR Strategy: Human Rights Due Diligence and Access to Justice for Victims of Extraterritorial Corporate Human Rights Abuses” (2015) 56:2 Canadian Business Law Journal 167-207. P. Simons, “International Law’s Invisible Hand and the Future of Corporate Accountability for Violations of Human Rights” (2012) 3:1 Journal of Human Rights and the Environment 5-43. P. Simons & L. Collins, “Participatory Rights in the Ontario Mining Sector: An International Human Rights Perspective” (2010) 6:2 McGill International Journal of Sustainable Development Law & Policy 177-216. R. McCorquodale & P. Simons, “Responsibility Beyond Borders: State Responsibility for Extraterritorial Violations by Corporations of International Human Rights Law” (2007) 70 Modern Law Review 598-625. P. Simons, “The Value-Added of a Treaty to Regulate Transnational Corporations and Other Business Enterprises: Moving Forward Strategically” in S. Deva and D. Bilchitz (eds) Building a Treaty on Business and Human Rights: Context and Contours (Cambridge University Press, 2017). P. Simons, “Selectivity in Law-Making: Regulating Extraterritorial Environmental Harm and Human Rights Violations by Transnational Extractive Corporations” in A Grear & L Kotze (eds) Research Handbook on Human Rights and the Environment (Edward Elgar Publishing, 2015). J.A. VanDuzer, P. Simons & G. Mayeda, “Modeling International Investment Agreements for Economic Development”, in V Qalo (ed) Bilateralism and Development: Emerging Trade Patterns (Cameron May, London, 2008) 359-410. P. Simons, “Binding the Hand that Feeds Them: Sovereignty, the Agreement on Agriculture, Transnational Corporations, and the Right to Adequate Food in Developing Countries”, in W. Shan, P. Simons, D. Singh (eds) Redefining Sovereignty in International Economic Law (Hart Publishing, Oxford 2008), 399-427.